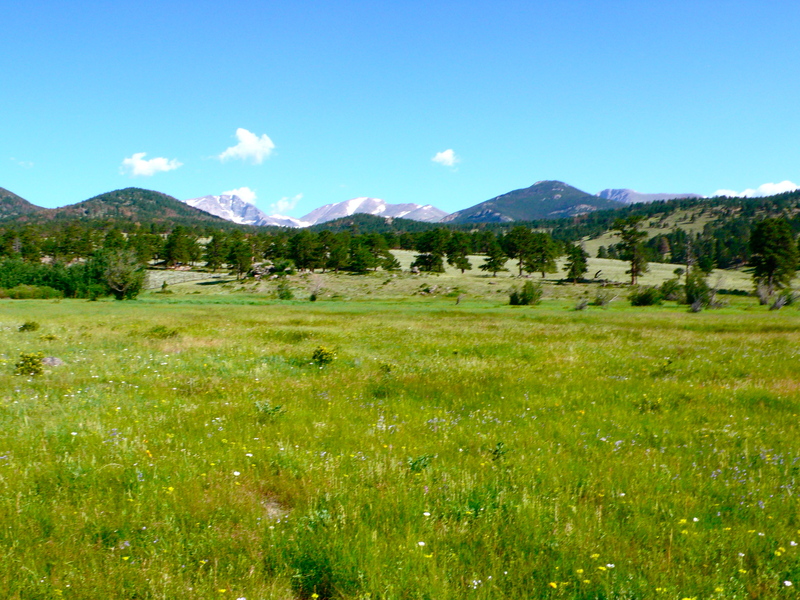 It’s hard to imagine living in Colorado and not taking advantage of horseback riding. 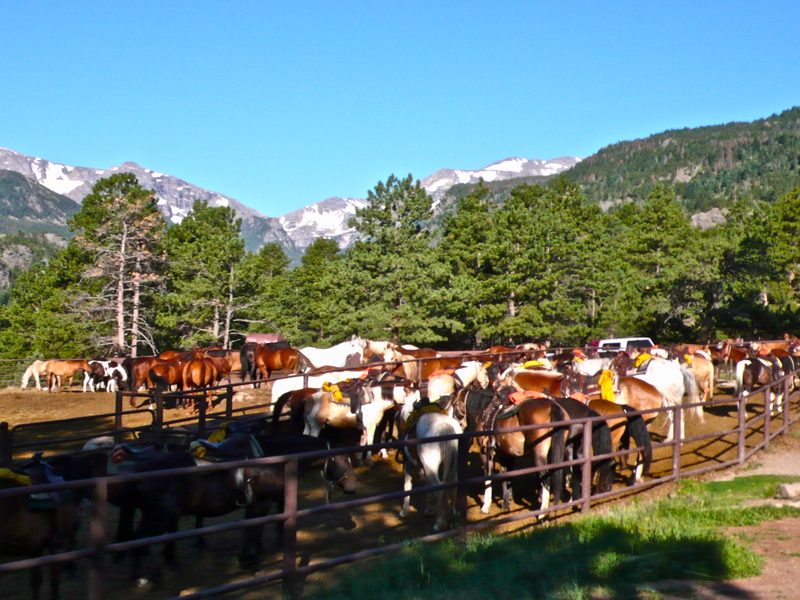 Everyone always mentions skiing & snowboarding when you tell them you live here but there’s something about horseback riding in the mountains that seems as old as the Rockies themselves. I used to love to go riding as a kid, but living in cities it became cost prohibitive. Not to mention there really weren’t that many places to get out and ride. Now I live less than an hour away from some of the most scenic ground you could hope to cover. 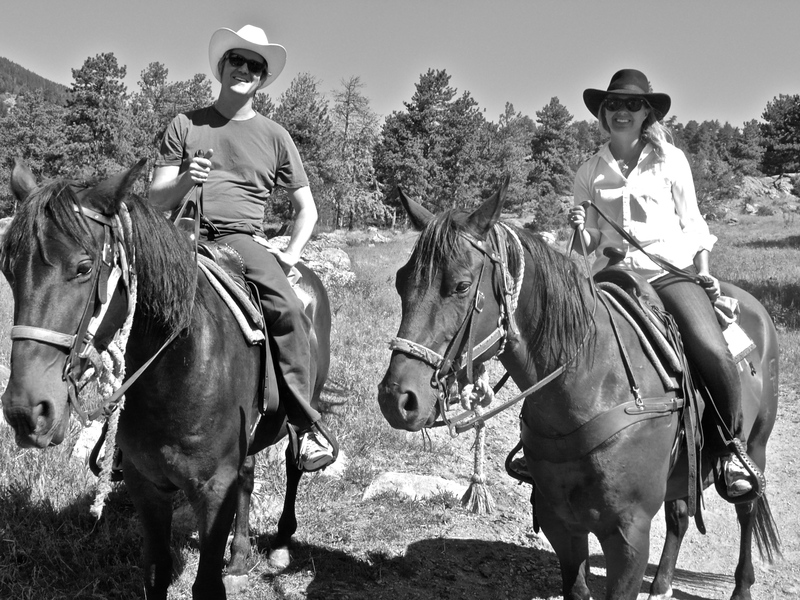 Today, my husband and I went to ride in Moraine Park in the Rocky Mountain National Park. We opted for a 2 hour ride because my husband hasn’t been on a lot of horses. Normally I’m not a huge fan of the plodding along trail rides but when you’re looking at the scenery we were looking at you really don’t mind. Today, my horse was Rambo. The only attitude he seemed to have was about eating grass along the way. I may have obliged a couple of times since I was enjoying the scenery. It was another beautiful, sunny Colorado day and the wildflowers were blooming everywhere. My husband picked up a field guide so we could have an idea of what we were seeing. Alpine lilies, Indian Paintbrush, Larkspur to name a few. One of the things I love best about riding is how relaxing it is. After the first hour of getting used to being high up on a horse you fall into the rhythm of it. It’s peaceful to hear the clippity clop of hooves hitting the trail and the swish of the horses’ tails. The meditative sway starts to take hold and anything that may have been weighing on your mind seems far away. I think my husband is even slowly coming around to being a horse person despite his grumbles and groans as he got down from his horse. The thing we kept talking about on the way home is how amazing it is we can just take a short drive and go riding here. It’s practically in our backyard. It can be easy to overlook what’s around you and do the same things all the time. 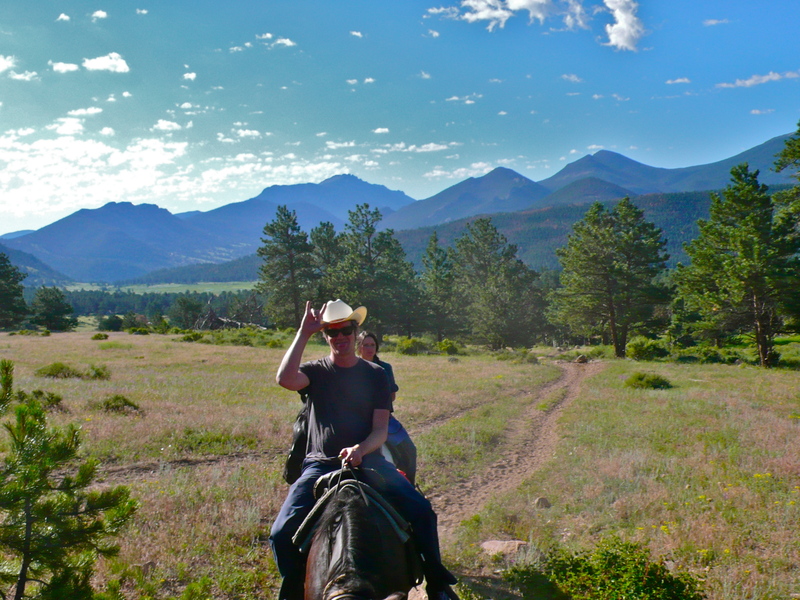 This week it’s been great to get out and explore Colorado the way many first explored it, via horseback. You are currently reading Riding in the Rockies at 52 To Do.